Hillsborough County Real Estate of Tampa Bay Florida lies midway along the west coast of Florida. Hillsborough County has 1,048 square miles of land and 24 square miles of inland water area for a total of 1,072 square miles. The unincorporated area encompasses 909 square miles, or more than 84 percent of the total county area. Municipalities account for 163 square miles. The cities of Hillsborough County are Temple Terrace, Plant City, Brandon, Valrico and Tampa the seat of the county. The Hillsborough County is bordered by Pinellas, Polk, Manatee and Pasco County. The residents and tourist of the Tampa Bay Area is within the prime destination of the greater city of Orlando Florida which is less than two hours away. Hillsborough County has many natural resources. It’s unique cultural provides employment and business opportunities for many, not to mention world-class shopping, and fine dining. It’s where the city amenities are merged into tranquil surroundings allowing people live and work in Hillsborough County and visit Pinellas County on the weekends to enjoy the beaches and boating activities. Hillsborough County Public Schools (HCPS) is located on the west coast of Florida. The county includes Tampa, a large city, and several outlying municipalities and communities. The school district is a diverse metropolitan school district, the eighth largest in the nation, with 217 schools and 4 career centers that serve approximately 191,000 students and employ approximately 13,985 classroom teachers. There are 133 elementary schools, 42 middle schools, 4 K-8 and 23 high schools. 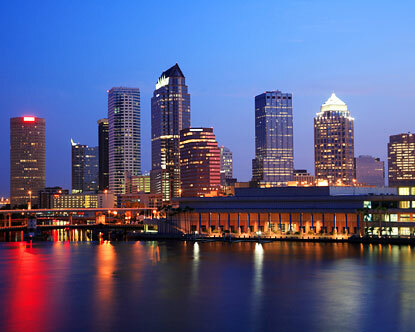 Tampa is home to outstanding universities and colleges such as Hillsborough Community College, University of Tampa, and University of South Florida, among others. For more information on Homes for sale in Tampa Florida, contact me below. There are many homes for sale in Northern Hillsborough County. It is homes to many residents that enjoy the many exciting amenities that are provided from shopping, sports, universities, entertainment and fine cusine dinning. Westchase is a community located north of Hillsborough County. The homes for sale in Westchase community are beautiful and known for the surroundings amenities such as peaceful woodlands for those enthusiastic hikers, or just taking an evening stroll. There is also shopping and access to high quality class golf course for resident’s to enjoy throughout the year. For the outdoor lover, a favor and popular destinations for residents of northern Hillsborough County is Citrus Park. Citrus Park is home to the Big Cat Rescue, where one can view one of the largest arrangements of exotic cats in the world. Taking a tour is the best way to view all the beautiful animals. In addition, one can swing by Flatwoods Park of the Tampa Palms located in New Tampa where you will find many hiking trails scavenger hunts and beautiful landscape. There is also Lettuce Lake Park, the University of Florida real estate area and the Hillsborough River State Park of the Temple Terrace that offers serene and beautiful waters for canoeing, fishing and kayaking. For the indoor lover, stop by Citrus Park Mall of the Carrollwood real estate area where one can spend a day shopping and enjoy a movie afterwards in the ambiance a clean and pleasant setting. There are numerous stores to browse around in and many restaurants for fine dining. A popular attraction is The University of South Florida “Sun Dome”. This fully equipped indoor stadium hosts many events ranging from concerts, school fundraisers and the USF men’s and women’s basketball games. Walk around campus and snap some pictures of the gorgeous foliage or do some reading in the library. These community amenities make living in this Tampa Bay, Florida region a great real estate decision. Our realtors are available to take you on tours of houses, townhomes and condos throughout this real estate area.